Time is ticking away as ¡MAYDAY! returns with the official second single off Take Me To Your Leader. “T.N.T.” takes the Miami collective to Tunisia along with legendary hip hop group Dead Prez for a look at real revolution. 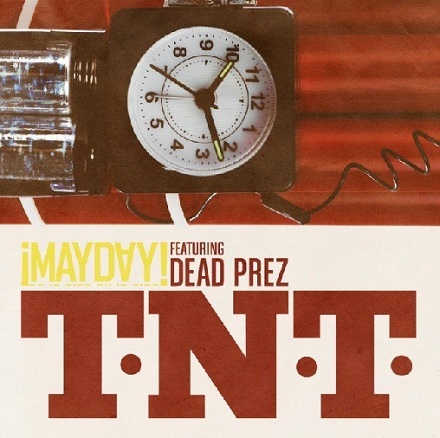 Produced by Plex Luthor, “T.N.T.” provides another glimpse into the socially conscious world of ¡MAYDAY! The fire is spreading and the message is clear – enough is enough. Take Me To Your Leader arrives on 3/26/12. Did you like the Dead Prez feature?